The messages of Amsterdam are unique in the history of Marian apparitions because Our Lady gives detailed descriptions of its image in six messages. • She has a cloth wrapped around her, which she explains,“Listen carefully to what this means. This is like the Loincloth of the Son. 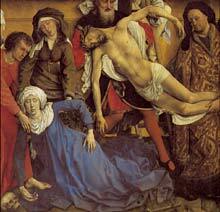 For I Stand as the Lady before the Cross of the Son “ (April 15, 1951). • Her hands have radiant Wounds . Thereby Mary describes in an image the suffering of the body and soul which she borne in union with her Divine Son for the Redemption of Mankind. Now it is as if there was a wound in the middle of her hands. From there, from each hand, three rays of light are coming out, shining on the sheep. “I have firmly laid my feet on the globe, for in this time the Father and the Son wants to bring me into this world as Coredemptrix, Mediatrix and Advocate” (May 31, 1951).“This time is our time” (July 2, 1951). In a biblical representation, Mary shows the visionary sheep around the globe that symbolize all the nations and races of the earth. Then she says that they will not find true rest until they lie down and look at the cross of the world. “ (May 31, 1951). Today, more than 50 years later, the Catholic Church finds herself in this difficult and painful position. On the one hand, cardinals and hundreds of bishops want to see Mary honored through a dogma as Coredemptrix, Mediatrix and Advocate. The same is desired by renowned theologians, many priests and millions of faithful. 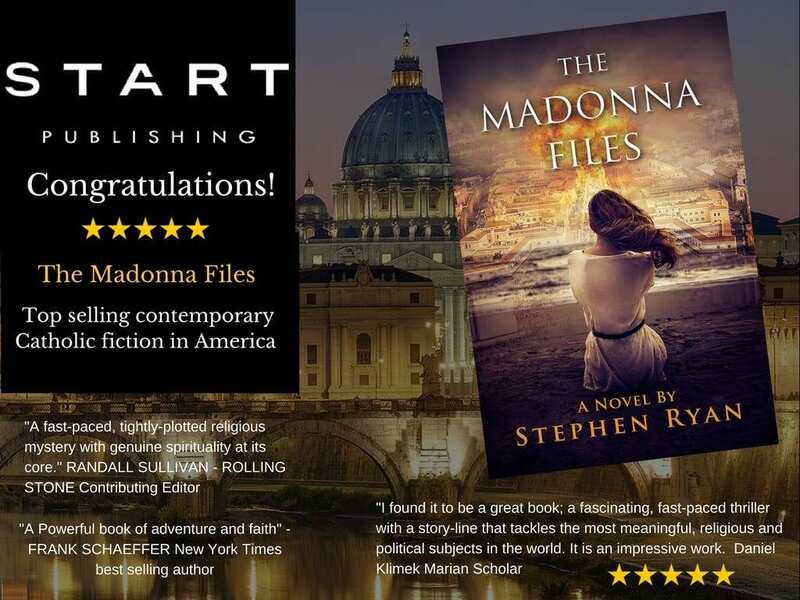 This title has been loved and used by many mariologists and even saints such as Vincent Pallotti, Anne Catherine Emmerich, Leopold Mandic, Maximilian Kolbe, Edith Stein, Padre Pio and Mother Teresa. However, not everyone thinks in this way, and they have their understandable reasons. 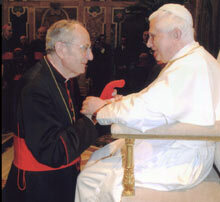 Among the cardinals, bishops and theologians, there are many who consider the term Coredemptrix to be easily misundered and therefore fundamentally unsuitable to correctly explain the unique theological role of Mary in salvation history. Regarding this title, Joseph Cardinal Ratzinger, at the time Prefect of the Congregation for the Doctrine of the Faith, told the German journalist Peter Seewald, in his book “God and the World”, that the cooperation of Mary in the plan of Redemption “is already better expressed in other titles of Mary, while the formula ‘Co-Redemptrix’ leaves too much of the Scripture and the Fathers’ language and thus gives rise to misunderstanding.” Joachim Cardinal Meisner also shares the same Opinion about this issue. This is to be clearly stated here, for the Archbishop of Cologne, who is certainly the Pope’s best and most faithful friend, would have never given permission in his diocese to celebrate a day of prayer in honor of the Lady of All Nations, whose message is Directly linked to the title Coredemptrix , if the current position of the Congregation for the Doctrine of Faith was not clearly stated. This position does not, however, mean that bishops, priests, theologians and faithful may not use the title Coredemptrix . With the great submission to the authentic Magisterium of the Church, the theological order ativan online with no prescription discussion remains open. When the Coredemptrix is properly explained, it becomes clear that through this Mary is not placed as equal to Jesus as if she were God. The Co- Redemptrix indicates much more that she, as the Immaculate and the New Eve, in perfect union with her divine Son, suffered in a unique way for our redemption. She did this in total dependence upon Jesus and living entirely from Him. In order that this truth can be proclaimed at the right time, God willing, the theological differences of opinion concerning the title Coredemptrix must be reconciled sooner or later through extensive studies, loving dialogue, and above all through prayer and sacrifice. Consequently, let’s say that those who are in favor of the title Coredemptrix should show understanding for those who, in their genuine love for Mary, consider this concept unsuitable. 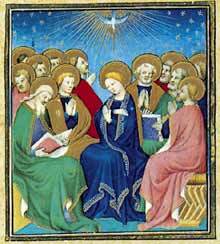 Some of them, as mariologists, have written important works about Mary. Yet, out of their concern that Jesus’ unique and incomparable place as the Divine Redeemer could be diminished or that the ecumenical dialogue could be jeopardized, they recommend not using the title Coredemptrix. 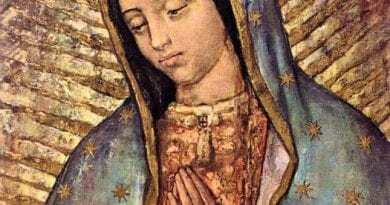 There is another group of theologians who have no problem with venerating Mary under the title Coredemptrix , but they do not see any need for that truth to be defined as a dogma. Still others are open to the dogma but consider its proclamation in the near future to be unwise. Whichever opinion is put forward, the theological discussion must be conducted without controversy, in brotherly love, in mutual respect and respect of the sense of faith (sensus fidei). Perhaps the most beautiful example of this is Pope John Paul II and his closest coworker, Joseph Cardinal Ratzinger. While Pope Wojtyla appreciated and used the title, the Prefect of the Congregation for the Doctrine of the Faith had his reservations. This did not, however, in any way diminish their friendship, which was extremely fruitful for the good of the Church. Whether or not it is proper to call Mary the Coredemptrix is a question that theologians, subordinate to the Magisterium of the Church, will continue to work on, all the bishops of the world will be asked their opinion and then the Holy Father will decide. 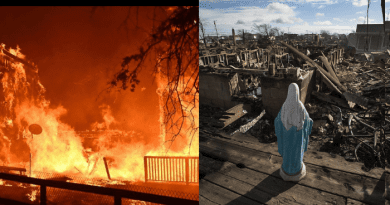 Even if a dogma will never be proclaimed on account of a prophetic private revelation, it is still exceptional that we can even now know the powerful and grace-filled effects of this Marian dogma for the Church and the world. The grace-filled effects of the dogma, the victory of Mary over evil and peace in the world which is associated with it, is impressively illustrated in the image. The serpent, as mentioned before, is no longer visible on the globe. 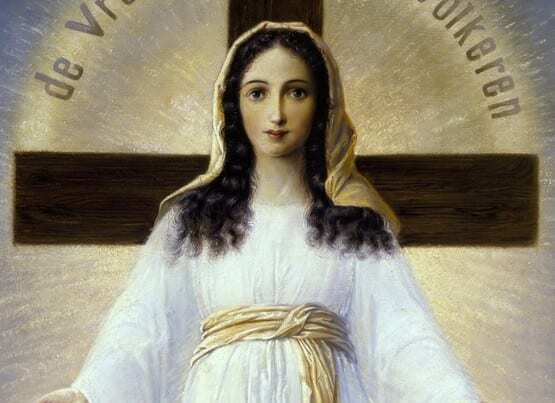 However, to conquer the entire power of Satan in the world , Mary, the woman who crushes the serpent’s head, must also be solemnly recognized and honored worldwide in the entirety of her vocation-as the Coredemptrix, Mediatrix, and Advocate. If and when the dogma will be proclaimed rests, as said, entirely on the Holy Father. In any event, a new Marian dogma will certainly not be proclaimed as long as its theological content is not understood by most and when most of the faithful are barely Marian anymore. So we see that the right time has not come yet. In the apparitions of Amsterdam, Our Lady wished to be called by the title “THE LADY OF ALL NATIONS”. 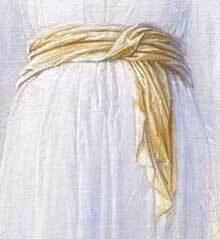 In 1996, in agreement with the Congregation for the Doctrine of the Faith, the Bishop of Haarlem-Amsterdam, His Excellency, Henrik Bomers, together with his auxiliary bishop and later successor, His Excellency Jozef M. Punt, Approbation of the title ) in which they allowed the public veneration of Mary under this title. If we consider that Mary mentions her new title more than 150 times in her messages, she must be of exceptional importance. Of course, here is not the place to quote all of these passages, but some of the important ones will help us understand more clearly why Mary waited until 1950 to reveal her new title and what this title means. Already in the first message Mary announces, “They will call me” The Lady “,” Mother “ (March 25, 1945), but that was not yet the complete title. 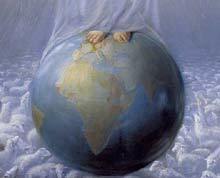 Only after Pius XII solemnly proclaimed the dogma of the Assumption of Mary in Heaven on November 1, 1950, Our Lady presents herself immediately in the next message with her new title, “Child, I am standing on this globe because I want to be Called the Lady of All Nations “ (Nov. 16, 1950). Our Lady explains why she never used this new name in the five years that she had been appearing, “How is it that this is entering the world just now: ‘The Lady of All Nations’? Because the Lord has awaited this time. The other dogmas had to precede, just as her life first had to precede the Lady of All Nations. All the dogmas that preceded included the life and the departure of the Lady. For the theologians this simple explanation will be sufficient “ (Oct. 5, 1952). Mary clarifies her new title in a previous sentence with the words of her son, “At the departure of the Lord Jesus Christ, He gave … Mary, to the nations … For He spoke the words,” Woman, behold your son; Son, behold your mother. ‘ One act, and this by Miriam, or Mary, received this new title “ (Oct. 5, 1952). 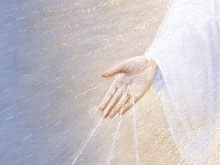 In order to make this clear to us, Mary uses her title, her new name THE LADY OF ALL NATIONS, often in direct connection with Coredemptrix, Mediatrix and Advocate. 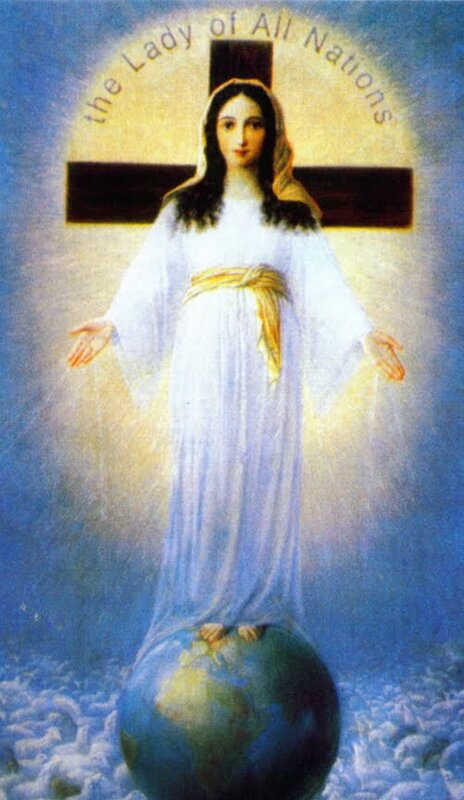 “The Lady of All Nations stands in the middle of the world before the Cross. She comes under this name as the Coredemptrix, Mediatrix and Advocate, in this time “ (Dec. 31, 1951). 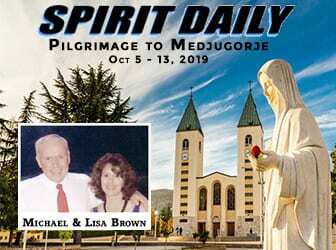 “I have firmly placed my feet on the globe, for in this time the Father and the Son want to bring me into this world as Coredemptrix, Mediatrix and Advocate” (May 31, 1951). Who once was Mary??? That should be plain enough for you. Was? Is Our Lady not Mary anymore? You should read Warning from the Beyond. Demons speak through a victim soul at exorcism about the fraud they concocted with the freemasons to do with this ‘devotion.’ It belongs to Hell just like modernism.